Chief Justice J.S. Khehar will be swearing in the new President at a ceremonial function in the Parliament House. Then, outgoing President Pranab Mukherjee and Kovind will have a one-on-one discussion on important files and policies before leaving for the Central Hall. The stage would be shared by President and President-elect, Speaker, Vice President and Chief Justice of India. After the oath of new President, a 21-gun salute will be honoured followed by the acceptance speech of President elect Kovind. After the event, the new president and Mukherjee will proceed towards Rashtrapati Bhavan where outgoing President will give Kovind a tour of the official residence. 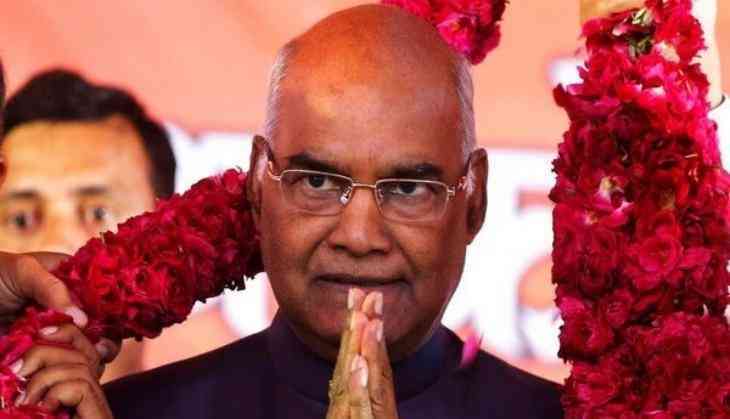 After the final round of counting, Kovind got 7,02,044 votes out of a total of 10,69,358 while his opponent and former Lok Sabha speaker Kumar secured 3,67,314 votes. Kovind has been the Bharatiya Janata Party (BJP) Scheduled Caste Morcha chief (1998-2002) and the President of the All-India Koli Samaj. He also served as the national spokesperson for the party. The saffron party had even tired of projecting him as an alternative to Mayawati in Uttar Pradesh. Kovind also represented India in United Nations (New York) and addressed the UN General Assembly in October 2002.